This area includes work in urban and economic development applied to metropolitan and regional areas on a variety of scales, including issues of transportation, tourism, demographics, political boundaries, and business site selection. Departmental specialties include North America, Europe, and Asia. This area includes departmental specializations in climatology, dendroecology, hydrology, geomorphology, soils, and environmental assessment. Fieldwork opportunities are an integral extension of classwork. This area comprises the techniques and research focus of cartography, geographic information systems, and remote sensing including work in statistics, computational modeling, and visualization. 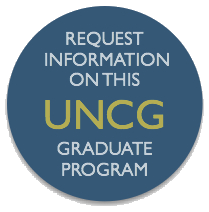 The PhD program centers on a research-oriented application of geographical concepts to solving real-world problems. The degree culminates in one of two projects: the traditional dissertation, or a three article option. Concentration is in one of the three areas outlined above.